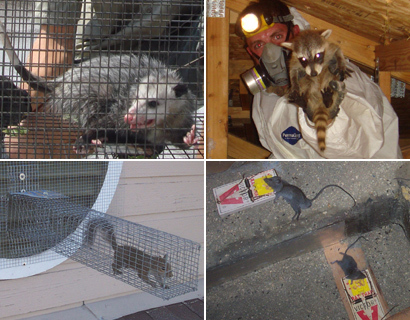 To learn more about our services, visit the Lansing wildlife control home page. The method to get rid of flying squirrels is fairly similar to the method used to get rid of ordinary squirrels, the main difference between a flying squirrel infestation and an ordinary squirrel infestation is that there'll be many many more flying squirrels than ordinary ones. 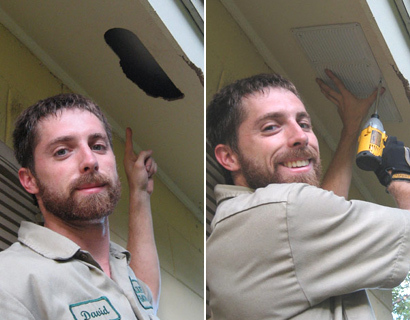 The basic principles of removing flying squirrels are, you put your traps or your exclusion materials and one way doors on all of the entry/exit holes you can find. Flying squirrel eradication can be quite tricky because these animals are very small and can fit through very small holes. 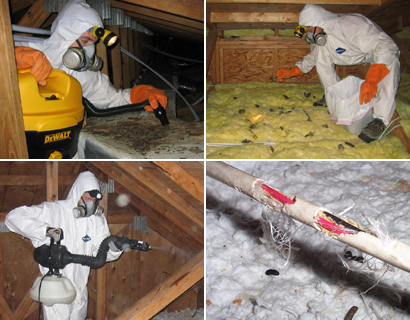 The first thing you must do is inspect your attic or roof space to make sure it is actually flying squirrels you are dealing with and not some other creature. Once you know for sure what you're dealing with you then need to inspect the outside of the house to see where the animals are gaining entry to your attic/roof space. Once you know where they are and where they are coming and going from you can set up some traps to capture them. The best thing that most professionals recommend is setting up one-way exclusion doors on the entrances and exits they are using instead of actually trapping the animal all you are trying to do is to exclude them from the roof space. When you do seal up all the entrances and exits they are using make sure you do it using steel because anything less and they will probably find a way through it or around it. 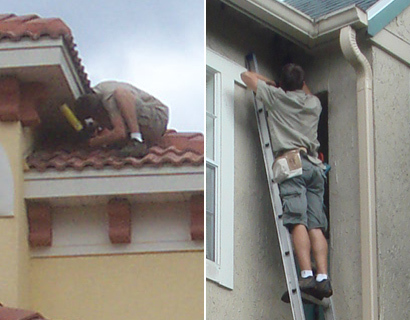 Although flying squirrels can glide for up to 100 feet, depending on the starting height, they like ordinary squirrels still have to climb to get where they want to start from, if you can figure out where they are coming from to land on your roof then you may be able to prevent them from gliding to your roof. Unlike ordinary squirrels, flying squirrels are nocturnal and sociable, that means they do all the business at night and they live in groups, that is why if you have one flying squirrel you probably have a dozen or so. It is also how they give themselves away when they are in your roof, the group likes to interact with each other so they run around, they scrabble, they scratch and they squabble, none of which there earth bound cousins do.